My goodness the Snobberlinks are thick! Just look at this sketch one of the humans made! 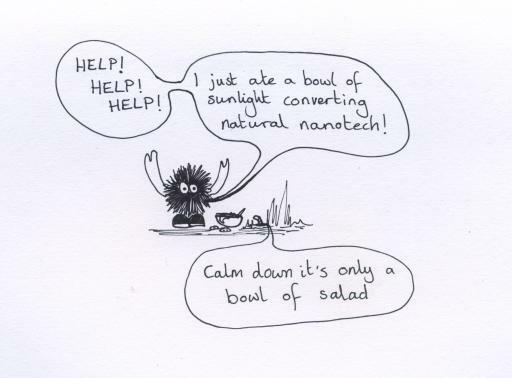 He thinks a bowl of salad is nanotech!